The Bache Gabrielsen American Oak Whisky is not, as you can tell by the name, a Cognac. This bottle is part of Bache's new DistillationS series. However it’s a very interesting limited edition offering by the house that utilizes a specific type of oak cask for the aging process. This makes for a whisky that will be very interesting for those that enjoy Cognac. Previously Bache Gabrelsen produced a Cognac called American Oak. The components that made up the Cognac finished off their aging process in American Tennessee Oak Casks. And these very casks that have held and aged the eau-de-vie are now what’s being used to age this new, American Oak Whisky. 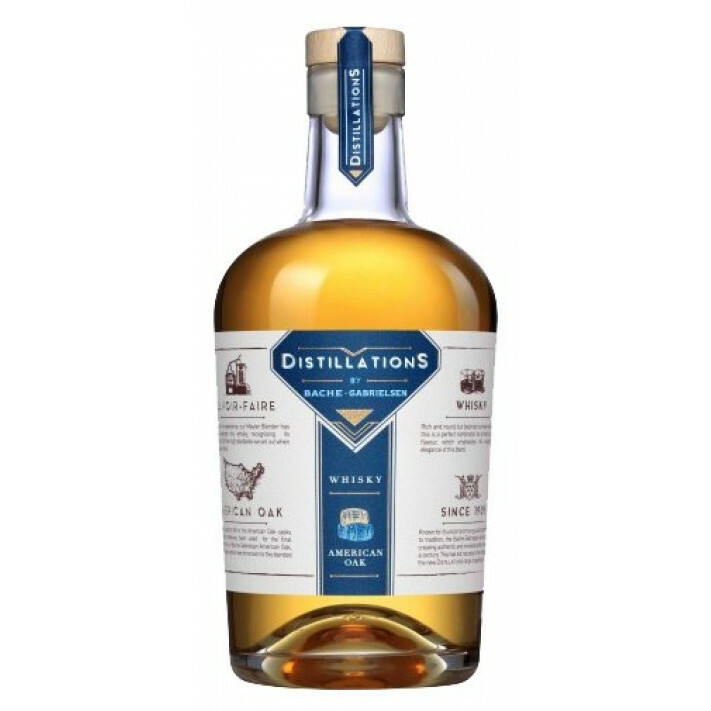 This has led to a very unique, elegant whisky, and certainly a very different product to add to your liquor collection. This clever whisky blend is yet another way in which the innovative house of Bache Gabrielsen is pushing the boundaries of fine spirit production. Produced in a strictly limited edition of only 1,500 bottles, the Bache Gabrielsen American Oak Whisky is the brainchild of cellar master, Jean Phillipe Bergier. It’s an elegant blend, and at 41.2% ABV is slightly overproof. Enjoy it neat, on the rocks, or as a deliciously new way to spice up your favorite cocktail.